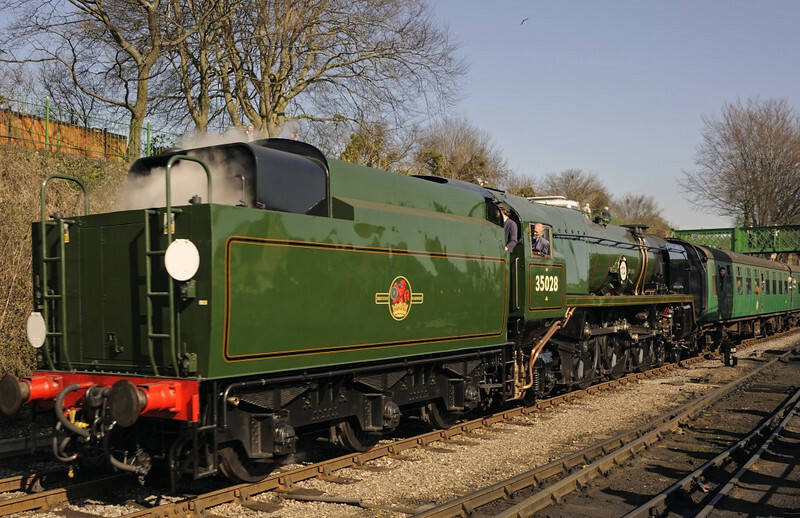 35028 Clan Line, Ropley, Sun 9 March 2014 1 - 1134. Arriving with the 1055 Alton - Alresford. The steam venting from the tender come from the loco's air pump.